After attending the 1st Neuromarketing World Forum organized by the Neuromarketing Sience & Business Association and Carla Nagel (Director of NMSBA) last year in Amsterdam, my life was changed by the people I met there and the friendships we built. So this year I met again my neuromarketing family, this time in Brazil! The 2nd edition of Neuromarketing World Forum took place in São Paulo between 6th and 8th of March, at the Renaissance Hotel – a really nice location near Avenida Paulista. On 6th of March, the Forum started with the neuromarketing masterclass “Brain of the consumer” held by Leon Zurawicki (Professor at UMASS-Boston and author of “Neuromarketing, Exploring the Brain of the Consumer”). Agenda of the day included discussions about how to use neuromarketing research, the technology employed, perspectives of the field concerning segmentation and design, theories of emotions and rational vs. emotional in buying behavior. 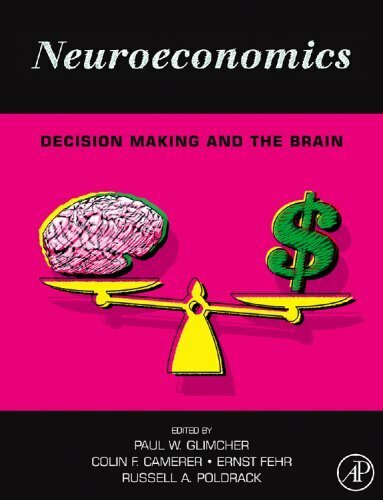 He defined neuromarketing as being a blend of techniques documenting neuronal reactions in the brain / rest of the body to assure deeper insight relative to traditional research methods, studying brand significance, perception, preference, but also data processing and decision making, as it promises to measure unconscious processing. Prof. Zurawicki also explained how neuromarketing research is useful in education (how cam we learn better, meditation), in management (in building teams and leaders), but also in political science. Leon Zurawicki then presented the topography of the brain functions and hemispheric specialization, but also the research tool used in neuromarketing research, each of them having certain accuracy and portability in research and measuring different aspects (electrical activity of the brain; chemical processes in the brain; physiological reactions like blushing, sweat or blood flow; behavior – alertness, speed of reaction and calmness). We also had an overiew of how our senses (vision, hearing, taste and touch) impact how we perceive different stimuli and how advertisers should use this knowledge in their campaigns. Although marketing talks about the needs to be satisfied, the focus should be on the fulfillment of desires. He talked about Davidson’s approach/withdrawal model in seeking pleasurable rewards vs. avoiding punishments. Prof. Zurawicki also presented research that linked certain constructs or processes (anger, anxiety, attention, cognitive effort, consciousness, disgust, distrust, envy, fear, frustration, love, hate, jealousy, etc.) with certain brain areas. He emphasized the future perspectives should cover new design options and also segmentation styles based on neuroresearch, as neuroscience adds value to the understanding of what makes us human. 7th of March started with a warm welcome from Carla Nagel (Director of the Neuromarketing Sience & Business Association) and a talk of Marcelo Peruzzo (Chief Brain Officer of IPDOIS neurobusiness, Local chair of the NMSBA in Brazil) about the growing interest in neuromarketing. All participants received a special edition of his latest book entitled “The three minds of neuromarketing”, and also a nice 3D printed souvenir with “I ♥ NMSBA”. 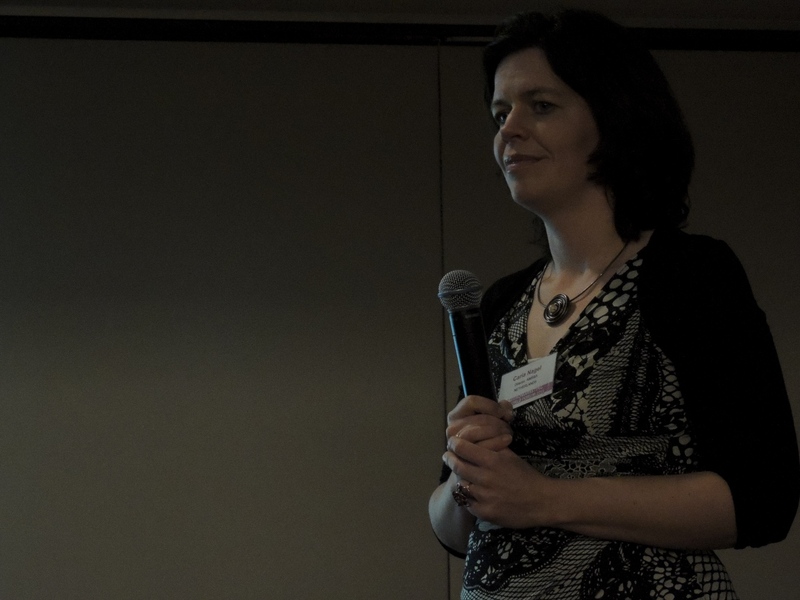 Track: Consumer decision making Prof. Gemma Calvert (Founder of Neurosense) talked about how we can better understand the consumer and the challenges that neuromarketing faces: validity, scalability and integration with mainstream market research. After presenting what happened in the research area over the last year, she showed an interesting case study of a Neurosense research on cleaning products. Extending a leading brand into a new category sector may be a difficult decision, so their research identified whether they should proceed or not. Volunteers were scanned using fMRI as they viewed images of the current brand, and 2 planned brand extensions. Than they answered a questionnaire about their preferences and an implicit Brainlink™ test. So their research used both conscious explicit and subconscious implicit responses from consumers in order to determine which brand extension appeals to the consumers. Implicit responses are difficult to fake and lead to the detection of unobservable attitudes and feelings with high level of predictive validity, as tests eliminate errors caused by ‘social desirability’ on the need to be consistent. And research proves that implicit assessments are better predictors of consumers’ choices. Another Neurosense research states that MTV is more engaging than other media brands, as they tested the implicit responses for 10 different countries. At Neurosense, they conduct research on brands (extension, position, comparison, tracking), ads (effectiveness, responses), packaging (responses, attributes), media (attributes, comparison), general tracking and cross-cultural / age / language studies. Gemma Calvert talked about green neuromarketing (together with insights from behavioral economics, neuromarketing is being used to improve public health campaigns) and cross-cultural neuromarketing (scientists are finding cross-cultural differences in brain structures and function which help explain behaviour). We also found out that a new research article published in PLOS One on February 2013 states that brain scans predict voting preference with 82.9% accuracy. Next, Jaime Romano Micha (Director of Neuromarketing Mexico) presented a 6 step model called Neuropyramid that explains what happens after stimuli are perceived in the brain – a model of the decision making process. He talked about mental processes involved in human decision making process like attention (arousal, filtration and orientation), sensorial activation, emotion (which affects heart rate, respiration rate and depth, electroderman response, peripheral blood flow, skin temperature, muscle tone), cognition, action regulator, verbalization and the actual action, and he also presented a stimulus hyerarchy (life threatning, species conservation, personal needs or interest). Jaime Romano stated that stimuli analysis is intimately related to language, and with the rational and conscious part of our mind, being a process of dividing the whole in smaller parts in order to compare the data, and valued in terms of the good, the bad, the better – in order to make hypothesis and suppositions. On the other hand, synthesis combines and reorganizes the previously analyzed data in the light of our own needs. It joins everything together including the rational, sensorial, perceptual and emotional components in packs of holographic information. Next speaker had a short presentation about neuromarketing in politics research. After presenting the neuromarketing tools usually employed in sauch research, we found out about a case study of a Brazilian presidential campaign. Research intended to answer questions like ‘what is the emotional engagement between a candidate and the voters?’ and ‘Can the president transfer votes to a candidate?’ and had 18 participants for GSR and EEG testing. 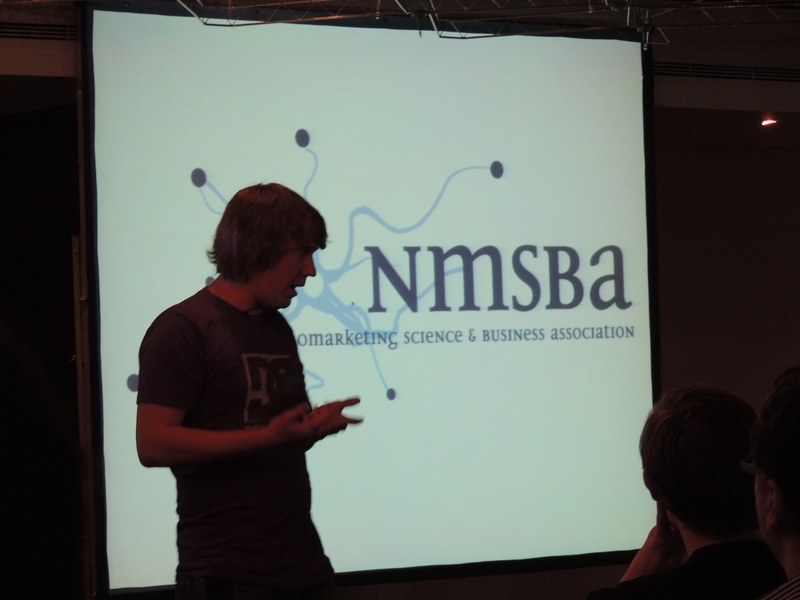 Next track included presentations about how neuromarketing can build a better future for advertising. Néstor Braidot (CEO of Braidot Brain Decision Centre) talked about the chance and challenge of neuroscience and neuromarketing in emerging markets. The presentation started with a talk about how the neural connections that are the base of decision making are formed, and then Néstor Braidot also talked about the right and left hemispheres, mirror neurons, the differences of the female and the male brain, and hormone studies. He presented a comparison between imagination and perception and we learned that stimulating the imaginations of consumers is like stimulating them directly. At the end, Néstor Braidot talked about the future of the field and what impact it may have on various levels. He also mentioned that in order to do marketing you have to listen, not just to hear, and you have to look, not just to see. Prof. Victor Lamme (CEO of Neurensics, Professor at the University of Amsterdam) had an interesting presentation about predicting the effect of TV commercials at a world wide basis. Together with their research them, they have found a neuronal signature of effective global commercials are now able to classify with around 88% accuracy in any TV commercial (and around 65% accuracy in predition from a storyboard), which helps in developing the winning commercials that trigger desire, expectation, trust and value. This also applies to identifying the effectiveness of a storyboard or concept, as the same brain pattern is activated when seeing storyboards and the final production. You may read more about their research in a previous post here. They found out that effectiveness is characterized by high desire, lust, expectation, trust and value, and that effective TV commercials evoke positive emotions without the viewer beoming aware or involved, as it ‘silently’ communicates value, builds trust and expectation. Next, Elissa Moses (EVP, Neuroscience and Emotion, Ipsos) and Carl Marci (CEO/ChiefScience Officer, Innerscope) talked about what clients what and how business applies biometrics for better marketing, proving how neuro and traditional tols come together to provide deep actionable results. They also highlighted the importance of validation of the construct (measuring what you say you measure), reliability (getting the same results over again) and predictability (improving market expectations), but also of collaboration and results sharing. As emotions cause a chain reaction throughout the body, they focus on many biosignals such as brain waves, skin conductance (arousal / excitement and relevance), heart rate (approach or avoid), breathing (boredom, tension, humor), motion (orientation), eye tracking (attention and processing) and facial expressions in order to identify ways to maximize pleasure and minimize pain for consumers. They presented case studies on magazine sales, fashion accesories, predicting the basket size in grocery shopping, and more. On the next track about new ideas on advertising that concern marketing payback, risks and media planning, Pranav Yadav (CEO of Neuro-Insight U.S.) talked about what the brain tells us about successful multimedia campaigns and how they can be optimized. After stating what traditional methods lack and why it is important to focus on the brain, he talked about right and left hemispheres and about implicit and explicit memories. He also presented the advantages of SST (Steady state topography), the technology they use at Neuro-Insight in order to investigate memory encoding for different stimuli. Pranav Yadav then presented various cases of how media effectiveness can be increased. Thinkbox, a marketing body for commercial TV in the UK wanted to determine whether creative effectiveness as measured by Neuro-Insight correlated with market place performance. Ebiquity, an econometrics consulting firm, identified pairs of advertisements in 9 product categories. Each pair featured one advertisement known to have a major impact on market performance and one known to have weak impact. Using SST, Neuro-Insight measured each pair of ads among 120 respondents. In 8 of 9 pairs, a combination of Memory Encoding and Emotional intensity metrics was able to identify the more succesfull advertisements. Measured differences in Memory Encoding were high for more major purchases – automobiles, home improvements and home electronics. In the evening, we all gathered for the social event, which was an excellent opportunity for networking. Last day of the Forum (8th of March 2013) started with the CEO round table where urgent issues in the neuromarketing field were discussed. First track of the day was about online (neuro)marketing and Roger Dooley (blogger at neurosciencemarketing.com, author of Brainfluence,) provided many examples of how we can better understand online consumer decision patterns in order to market directly to his brain. rudeness may bring revenge, so a sincere apology may save your brand and cancel negative comments. At the end, Roger Dooley emphasized that change is constant and accelerating and the one thing that doesn’t change despite all the advancements in technology and media is the human brain. Next, Maurits Kaptein (Assistant Professor of Statistics and Research Methods at Tilburg University) engaged the audience while talking about how people make decisions and how to deal with their online purchase decisions, using a persuasion profile that redefines the targeted audience in order to optimize how people buy in order to get more conversion. This is done by trading as much information as possible for every interaction, predicting the personality of consumer by the words they use and by their online behavior. The following track about neuromarketing science to business started with the presentations of the 3 winners of ‘Neurotalent of the Year Competition’. Rafał Ohme handed the award and talked about the contest. Naomi Sparks Grewal (Claremont Graduate University, Claremont, CA) presented her research about hormones and neuromarketing as a new approach to segmentation. Then, Madhvi Sood (Grenoble Graduate School of Business, Singapore) talked about the power of the brain, mirror neurons and about neuromarketing as being a child of marketing and business. Giovanni Vecchhiato (University “Sapienza”, Rome) talked about neuroimaging tools for studying the effect of audiovisual stimuli. Afterwards, Leon Zurawicki (Professor at UMASS-Boston) talked about how neuroscience research can be aligned with business demands, presenting the challenges for both science and business. 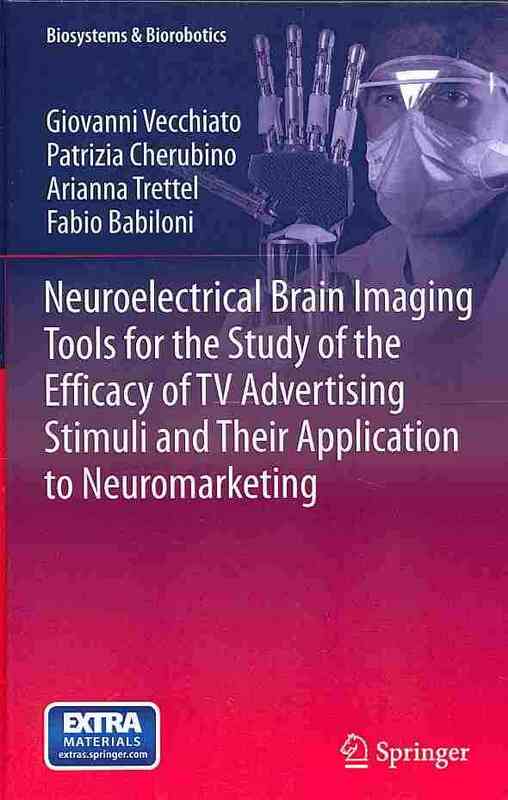 Following the development over the last years, Leon Zurawicki also predicted what will happen in the next 5 years in neuromarketing research. Billy Nascimento (CEO, Forebrain) talked about measuring emotional responses and the added value of neurobiological measurements, presenting a L’Oreal study case on consumer emotional responses to sun blockers. Carlos Augusto Costa (Executive Coordinator of the center of strategic planning and evaluation of public policies and the Neuromarketing Laboratory) and Marcos Antunes (Coordinator – Neuromarketing Laboratory of FGV) talked about measuring attention, emotional engagement and memorization potential while resenting a study case on improving human behavior in São Paulo’s traffic campaign. Walter Mucchiut Gimenez (CEO Estime – Neurobiomarketing), Alberto Apicella (Director Neurobiomarketing) talked about revolutionary insights into engagement and enjoyment to improve service level and measuring service quality with neurobiological tools. The track about indepth tooling and methods started with Maria Pocoví‘s (MK Manager, Emotion Explorer LAB) presentation about vision technology used in order to depict emotions just by analyzing the human face. Next, Michał Matukin (Scientific Director, Human Mind & Brain) talked about attention and interest as conversion predictors using dynamic analysis of static stimuli. 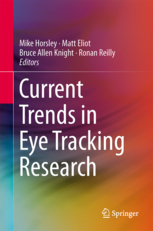 His research found that EEG integrated with eye tracking is a better predictor of consumer behavior that any of these 2 tools alone and he showed the audience a series of case studies on product posters or posters of award-winning movie. His research concluded that awards evoke desired reactions like positive approach tendencies and placing an award on a poster could improve the perception of the layout. Their future investigations will detect if only particular kind of movies or posters trigger this effect and if this is culturally specified. Yener Girişken (Managing partner – Thinkneuro) had a presentation about the effect of culture on the subconscious mind. After defining the dimensions of culture, he presented a case study using EEG/ERP and neuroscore based in-depth interviews on Turkey and Azerbaijan consumers that viewed a certain advertisement. His results include the fact that micro factors like social life and lifestyle have more effect than macro factors like etnicity, religion or geography, and neuromarketing can identify the differences in perception. Last track was about implications of neuromarketing for business, and Rafał Ohme (CEO of Human Mind & Brain Applied Research Center) talked about how buying behavior is triggered by subtle sounds, gestures or images. He presented in a fun way his research and a series of case studies, emphasizing the small improvements that led to succesfull campaigns and talking about central and peripheral persuasion (detected using neuroresearch) using visual or auditive stimuli. He stated that peripheral gestures impact purchase behavior, brand credibility, comprehension, and little “invisible” things draw great “visible” results. Using peripheral elements, advertisers play games with consumers’ attention because centrally, they can see and hear everything; but peripherally (subtle, indirect and implicit elements), they do not know that some details are more important than they appear. Rafał Ohme also talked about the instruments used in neuromarketing research and stated that based on research, EEG is considered an emotional / engagement / relevance predictor, GSR is considered a urchase behavior predictor, eye tracking is a visual attention indicator and reaction times are predictors of implicit associations. He also talked about Davidson’s paradigm on prefrontal asymmetry how its evolution in time. The most engaging study case for the audience at the Forum was one that presented how the female brain reacts to James Bond. His research was able to detect why men and women love a certain movie scene of the Casino Royale movie (James Bond series) for completly different reasons. Pedro Calabrez Furtado (CEO and co-founder of NeuroVox, Professor at Applied Neurosciences, ESPM) then talked about facing and overcoming the barriers in bringing neuroscience to companies and business schools, and how they arise from the lack of understanding of the potential of neuroscience applied to business. 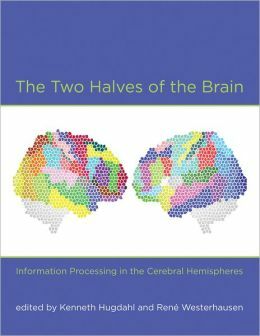 Many of the presentations featured the research initiative of the U.S. gouvernment that aims to create the most detailed map of the active human brain to date, but even more contained the iceberg metaphor in different views. Also, validation in neuromarketing research was a hop topic discussed this year. 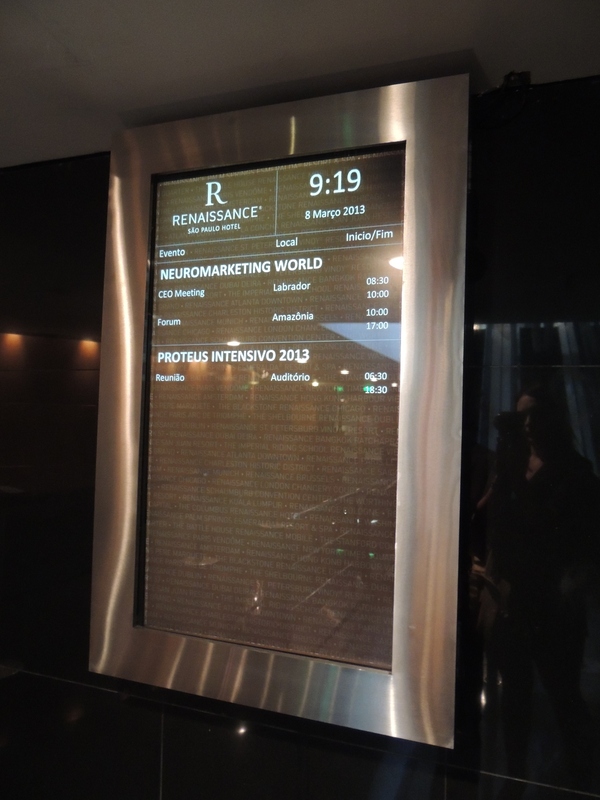 NEXT Neuromarketing World Forum will take place on 5-6-7 March 2014 in New York! You’re so lucky to be there. I was in touch with Dr. Yener Girisken, right before the forum, i wish i’d be there too, because i’m really curious and excited about the neuromarketing world. Right know, i’m freshly graduated and working in the marketing area, but can’t be close to the neuromarketing events. So this blog was very helpful for me as i couldn’t be in Brazil. Thanks for writing about the forum, i’ll be following other posts of you. Hello İlayda! Thank you for your comment, I am glad that this material was helpful to you. If you are subscribe to NMSBA (http://www.neuromarketing-association.com) newsletter, you will receive news and information about the forum and speakers.